Something unusual and important is happening in many Minnesota suburbs and small towns: the significant increase in the number of students attending charter public schools – an idea that started here in Minnesota, 25 years ago this month. These are free, public, non-sectarian schools open to all, with no admissions tests. Minnesota charter K-12 enrollment grew in the past 10 years from 17,544 in 2004-05 to 47,747 in 2014-15. Meanwhile K-12 enrollment in non-charter public schools decreased from 809,787 in 2004-05 to 795,185 in 2014-15. Nationally, the number of students enrolled in charters has grown from less than 100 in 1992 to an estimated 2.6 million in 2014-15, according to the National Alliance for Public Charter Schools, which offers information here: http://bit.ly/1NVy2BE. May 1-7 is National Charter School Week. Both President Barack Obama and a bipartisan group of U.S. senators have issued proclamations explaining that, as the president explained, charters “play an important role in our country’s education system.” The full proclamation is here: http://1.usa.gov/1WFY79c. While thousands of charter public schools have opened since 1991 in 42 states and the District of Columbia, nationally, most are found in cities. In Minnesota, many suburban and small town families have access to the free public education offered in charters as well as traditional district schools. I don’t think either district or charter option is inherently better. We should be learning from the most effective schools, whether district or charter. Charters are found in suburbs such as Blaine, Bloomington, Brooklyn Center, Eden Prairie, Minnetonka and Stillwater. They’re found in small and medium-size cities like Cologne, Isanti, Maple Lake, Monticello and Otsego. 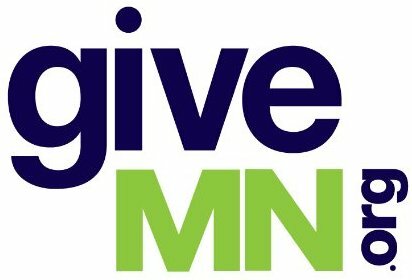 More information about all 164 Minnesota charters is available from the Minnesota Association of Charter Schools website, http://bit.ly/1SYe9sz. That diversity of reasons Piccolo mentions is supported by parent surveys. Tom Kearney, superintendent and principal of New Heights School in Stillwater, sent me a recent parent survey citing small class sizes, more individualized attention and flexible academic program as among the most frequently cited reasons for selecting the charter school. Amy Erendu, curriculum and accountability coordinator at PACT Charter School in Ramsey, reported that in the school’s most recent (2015) annual parent survey, the most frequently cited reasons for keeping their students at the school included small class size, emphasis on character, teaching staff, culture of parent involvement in the classroom and non-school Fridays. There are few things as American as the ability to choose among various options – whether it’s where to live, who we’ll elect to office or what job we have. We rightly value freedom. Fortunately, Minnesota has decided to provide families with a variety of public school options, including both district and charter public schools. Minnesota wisely gives educators the chance to create the kinds of schools they think make sense for students. This gives more educators the power to use their professional insights and, most important, helps more students succeed. Thanks Joe, great list of schools and discussion on the power of choice to create specialized schools. If schools in MN can lay down their weapons and work together we will have the best system possible. Sure we compete for a student, but there is much we can learn from each other. Building up walls isn’t healthy. Charter schools are nimble and able to try things, traditional school are systematic and designed to repeat standard process. I look forward to the day when we can get those two models working symbiotically.